As part of its occasional ‘Dream Tickets’ promotions, British Airways is running a 2-4-1 offer on Club World tickets to Durban. The cost will be £2,099 for two tickets which is EXCELLENT value, albeit that you are heading into Winter. Availability is limited so there is no guarantee you will see seats at that price for your chosen dates. You can use ‘part pay with Avios’ to reduce the cost further but you’re getting well under 1p per point so I don’t recommend it. 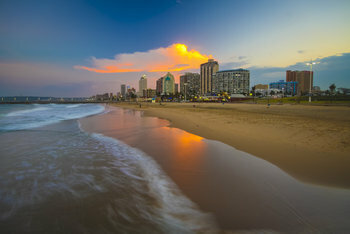 If your ultimate destination is Cape Town or Johannesburg, remember that you can redeem Avios for direct Comair flights from Durban to both cities. Full ‘Dream Tickets’ details are on this ba.com page. It seems that Marriott Bonvoy is about to launch its first global promotion since the scheme was rebranded. There is no registration page yet but some members have reported receiving details in the post, potentially sent too early by mistake. It will offer double base points on all stays, starting from your second stay, in the period 19th March to 4th June. We will cover it in detail when registration is live. Finally, today is your last day to buy Hilton Honors points with a 80% or 100% bonus when you purchase 10,000+. The Hilton ‘buy points’ page is here. 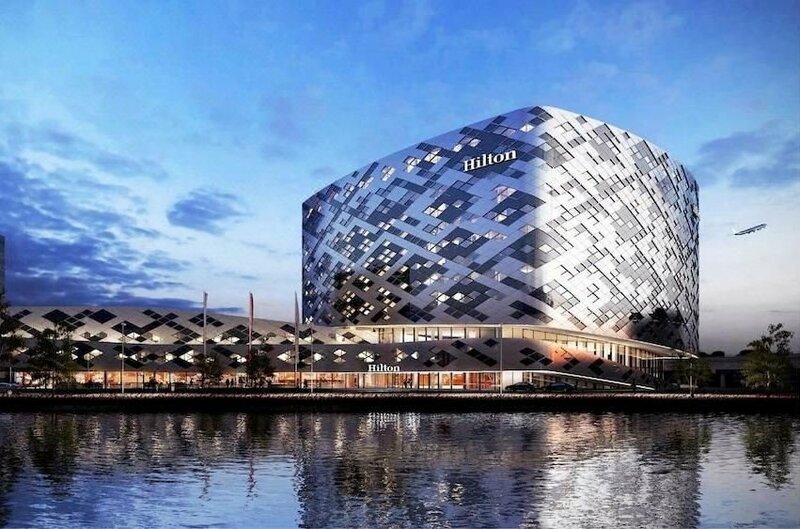 Whether you are offered 80% or 100% is down to Hilton targeting. Regular readers of Head for Points will know that I tend to value Hilton points at 0.33p each. You are paying 0.39p ($800 / £625 for 160,000 if you are targeted for the 100% bonus, and some people seem to have had their allowance doubled too) here if you buy the maximum so the maths in general doesn’t work. HOWEVER ….. there ARE real bargains to be had at peak periods. At the top end, the Conrad Maldives is usually 95,000 points per night. Via this offer you would be paying under $500 per night which is a great deal. We did a big review of Conrad Maldives here. Remember that you can pool points between Hilton members for free so it is now easier for different people to buy points and merge them together. Hilton also does ‘five for four’ if you have Hilton Honors status. As Hilton will status match you from any other hotel scheme where you may have status, most HFP readers should qualify for this. Five nights would cost you (95,000 x 4) 380,000 points which would cost $1,900 with this deal. A non-refundable cash rate would cost around $5,000. The new Waldorf Astoria Maldives is also a bargain if you buy points as we explained here. Similar deals are available at peak times in other major cities. Conrad New York, for example, costs $2,800 for a five-night stay from 6th to 11th June. Buying 320,000 points via this deal would cost just $1,600. Conrad New York is an ‘all suite’ hotel which I recommend. If you are just buying a handful of points to top off your account, the price per point doesn’t matter anyway. If you a few thousand short of a redemption then this is a decent opportunity to buy them. You can buy points via this link. The offer ends tonight, 26th February. How do you get a British Airways Executive Club Premier card? BOOK NOW: 95 new IHG PointBreaks hotels for just 5,000 to 15,000 points! Double Marriott points question… I have a large reward booking coming up soon. If I book a cheap local room before this stay, will my reward night now count for double points on all the incidentals / room charges? Thanks in advance to anyone who knows. Need to see the T&C’s which won’t be available before 5th. It is PROBABLY OK. However, I can’t believe that your incidentals bill would be so big that you could even begin to justify it. If you value a Marriott point at 0.5p and your mattress run is £50, you’d need to earn 10,000 bonus points to break even which would require $1,000 of base spending in the hotel (I think). Thanks Rob. Appreciate the insight. I’ll keep my eyes open for the terms. I have an upcoming stay at Calgary airport before my trip which I’m considering switching to Marriott, should the price justify it, as you point out. Yes, not an issue but must be booked by phone. I’ve done it online many times. The only circumstance I foresee the requirement to call is to mix and match F and Y.
I’ve booked out in CE and back in ET online several times, and also booked my upcoming trip to NYC, which is out in F and back in J, online. As Ghengis says, the only issue might be combining F and Y, which you can’t see on the same page! You have to call up to book a BA holidays package in different classes but flight only can generally be done online. We had to call in to mix Y and F tho..
Anna, are you planning to upgrade to F if you get the chance? Can you please recommend ryokan and onsen in Kinugawa onsen area? Planning to do the 2 day trip to Nikko and sleeping there, been to Hakone before, I could do it again, but heard this area is famous too. Sorry. Not been. I’m a Kyushu onsen kinda guy. With the Amex travel offer, I think i’ve Seen comments previously that it can be used to book in other currencies (although it specifies gbp) as long as it meets the spend requirement when converted to gbp. Could anyone please confirm if this is the case? Looking at booking a hotel in US before offer expires! Yes it’s not a problem, all ends up as GBP on your card anyway. The offer only covers European hotels though? Amex Travel £200/£50 or £600/£200 in anywhere I hope, just booked Loews in Orlando. Hilton £250/£50 is Europe as per the published list. Ah yes sorry forgot that still has a couple days to go. One of the best little towns in the world & we all try to keep it secret. Only Seat try to make it known via a car! I agree Harry, a little gem of a place. On our last trip we also visited Segovia which has a lot in common but Toledo is much nicer. Took 4 weeks once for me to get a SPG to Lufthansa transfer.